When KitchenAid’s iconic stand mixer was born in 1919, it became instantly recognizable in kitchens throughout the world. Still beloved almost 100 years later, today’s modern chefs appreciate KitchenAid’s quality craftsmanship, versatile technology, and timeless design. 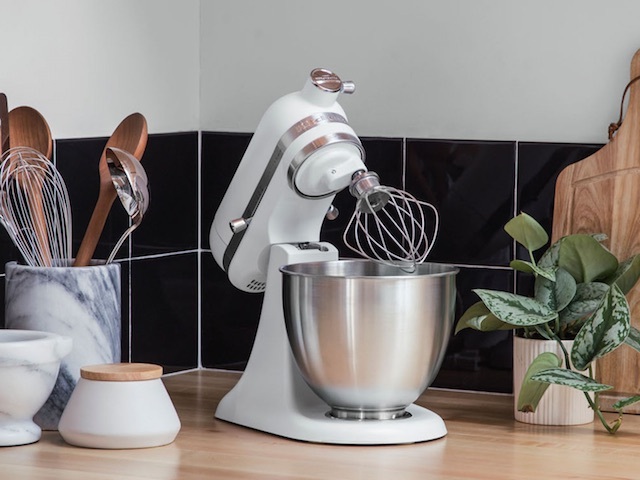 KitchenAid has moved to provide other kitchen necessities within their brand, to extend the collection of quality items in your kitchen to include tea kettles, small appliances, bakeware, grills and more.